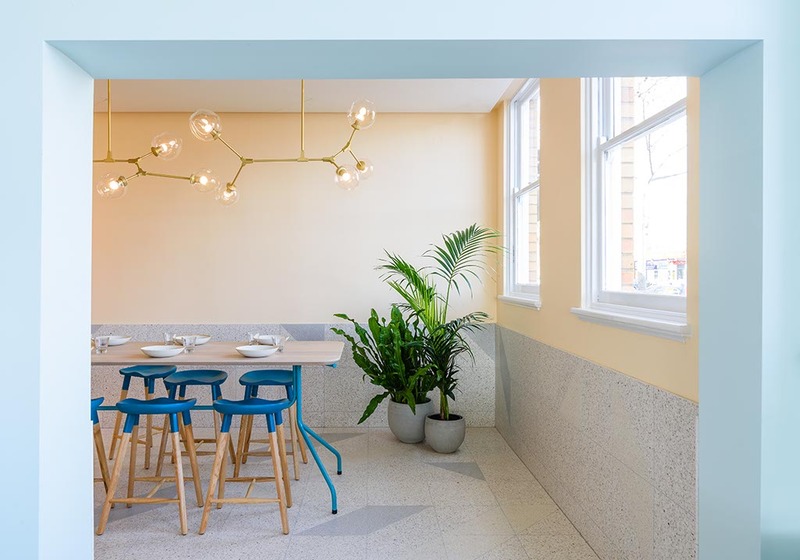 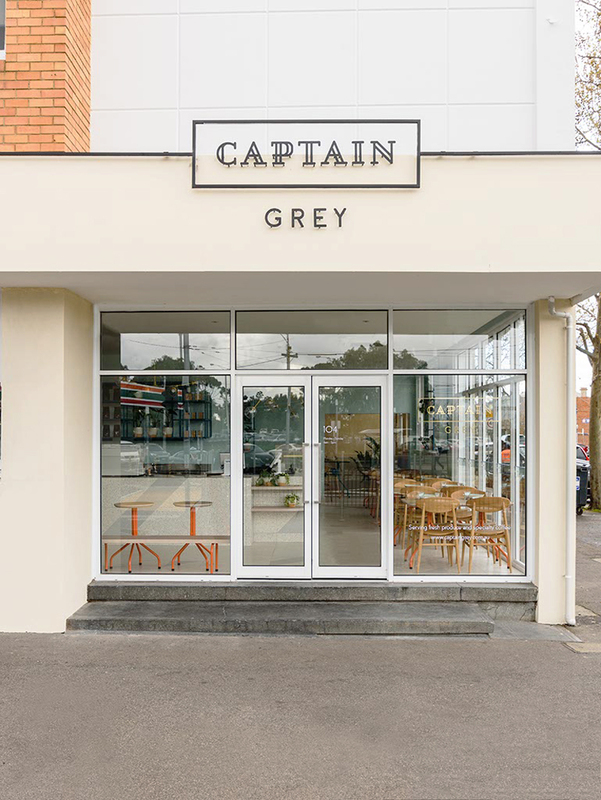 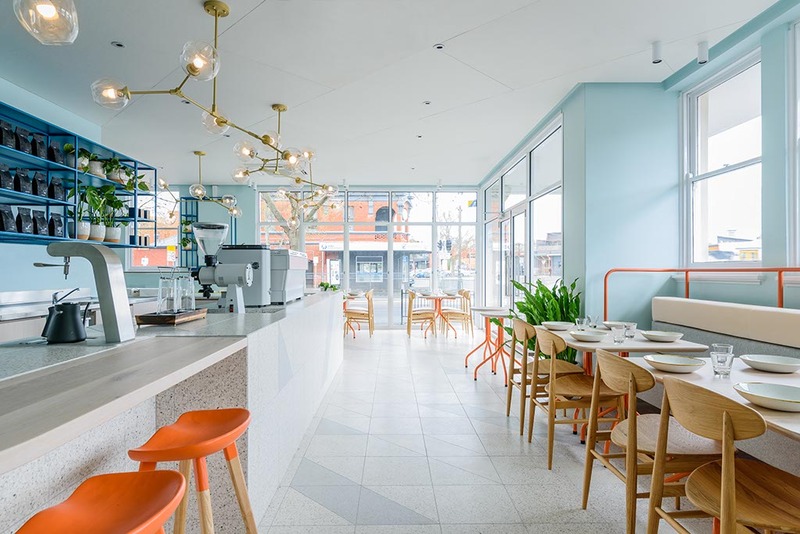 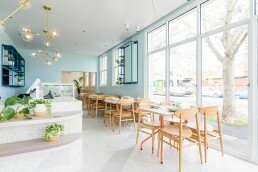 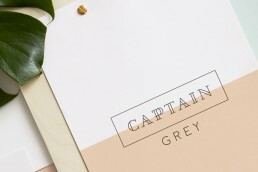 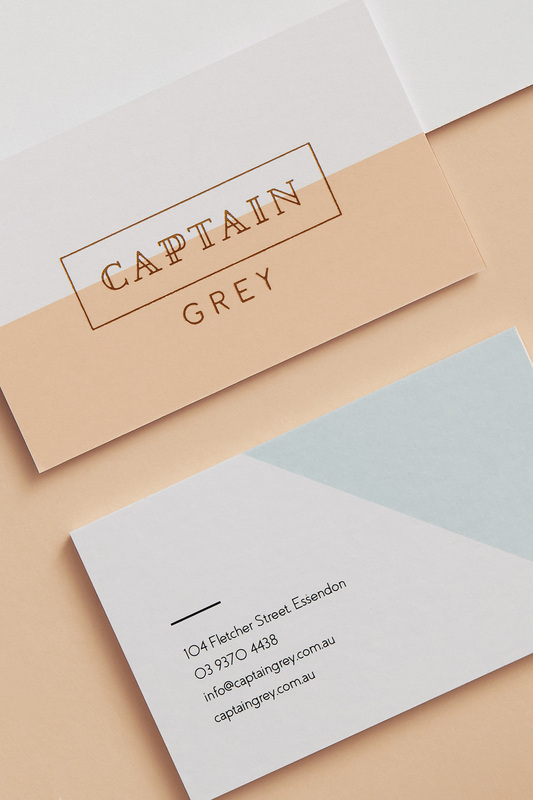 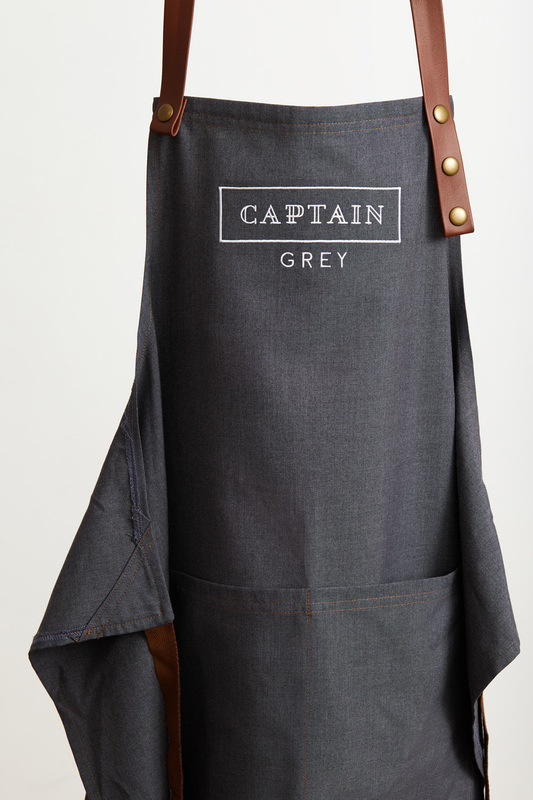 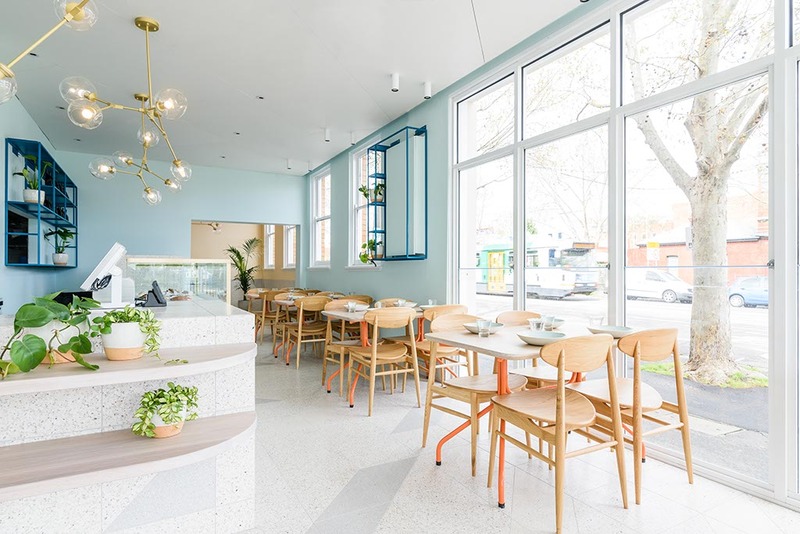 Located in a former bank on a prominent corner site, Captain Grey is an elegant art deco-styled cafe on Essendon’s main shopping strip. 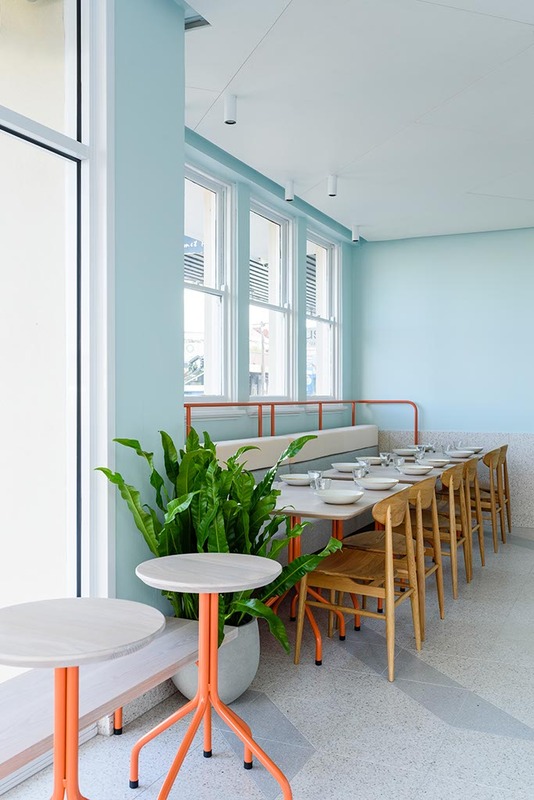 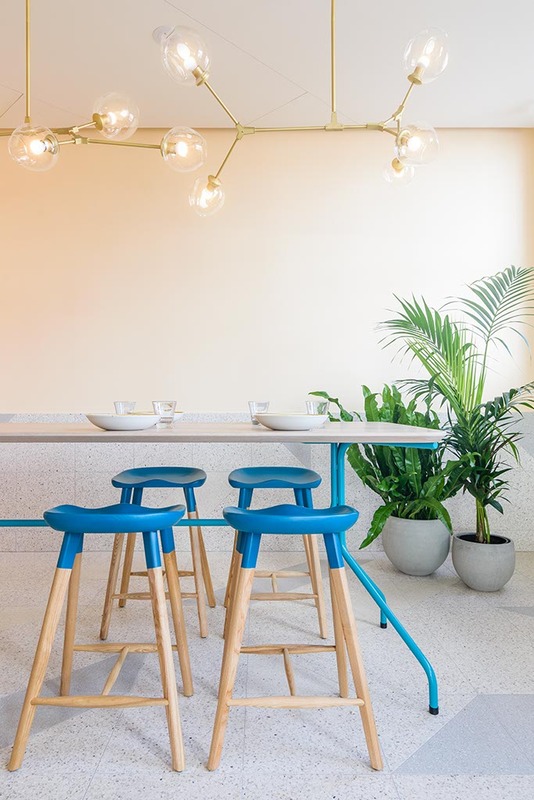 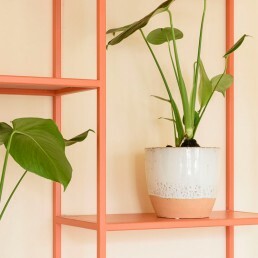 The project’s colour palette draws inspiration from the lush two-tone facades of Miami’s art deco buildings – re-imagined here as a dusky burnt orange offset by a powdery indigo. 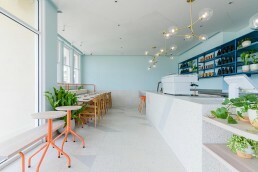 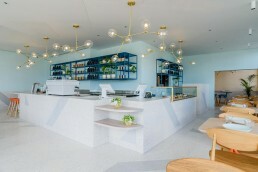 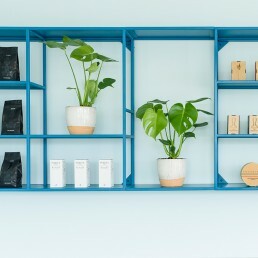 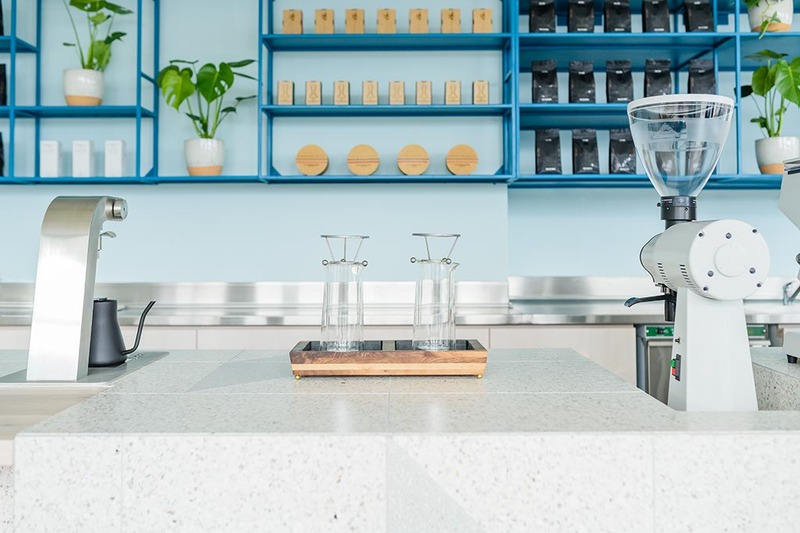 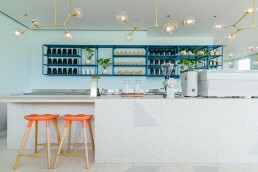 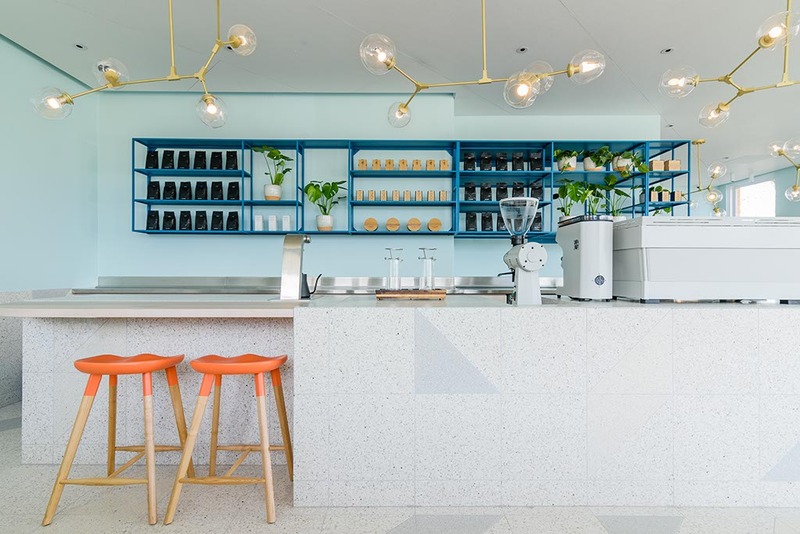 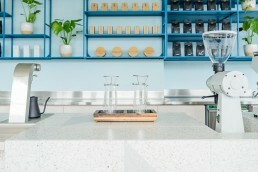 The centrepiece is the cafe’s streamlined brewing station and counter, a custom La Marzocco coffee machine makes it clear that the art of coffee-making is what this venue is all about. 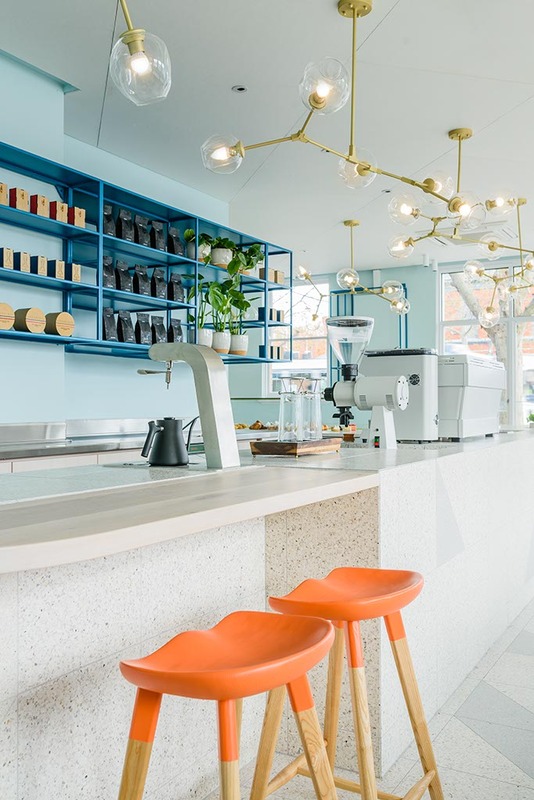 Brass chandeliers in organic forms are suspended overhead, continuing the sleek brass finish of the counter-top cake display. 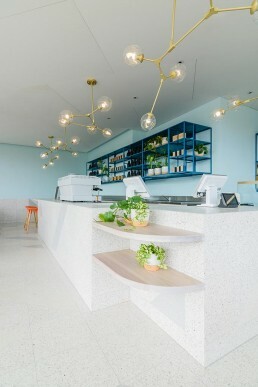 The counter itself is finished in a custom speckled grey tile from Fibonacci which continues underfoot.